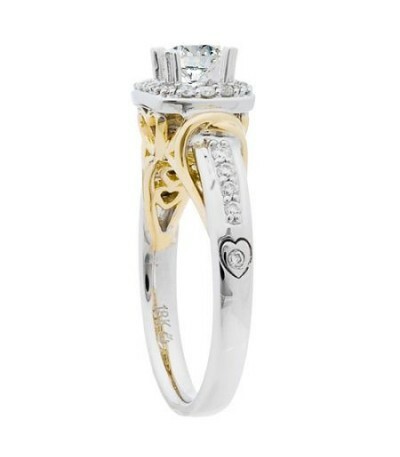 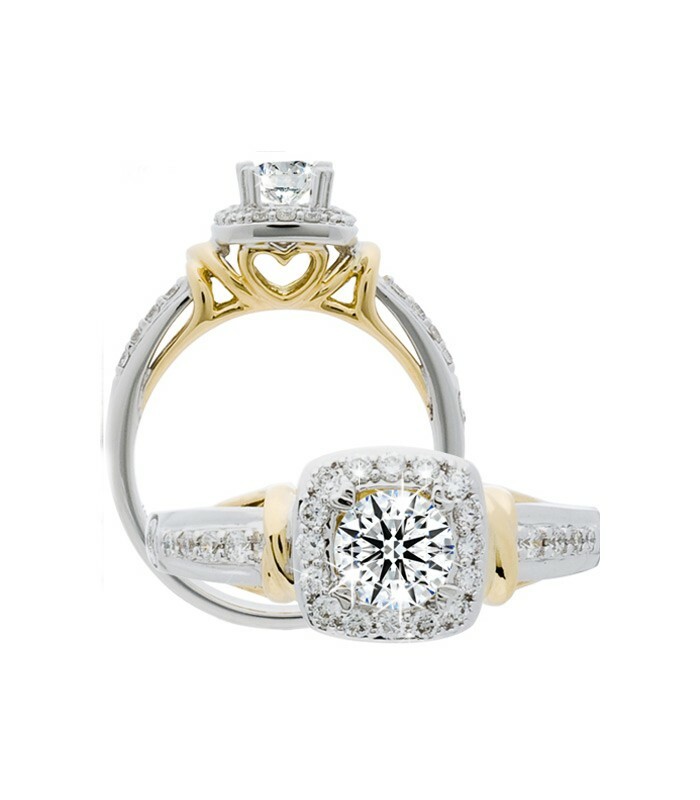 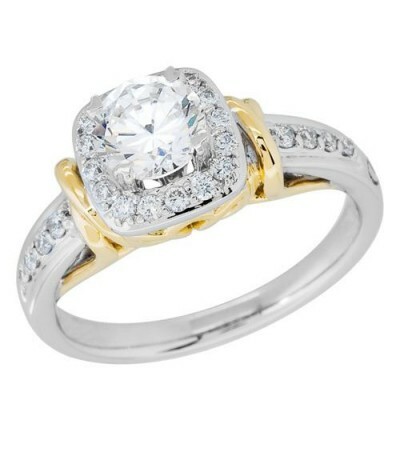 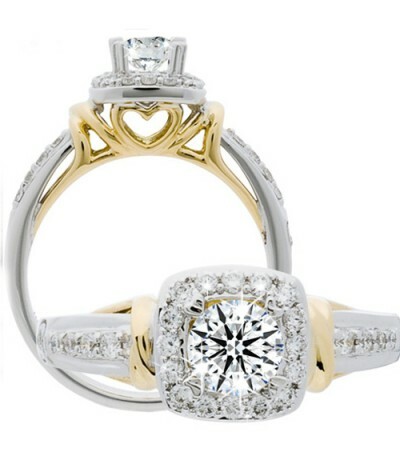 This exquisite Diamond engagement ring in two-tone 18 Karat Gold (yellow Gold and white Gold) features a round brilliant ideal Eternitymark genuine Diamond attractively secured by romantic Amoro heart prongs in 18 Karat white Gold for added safety. 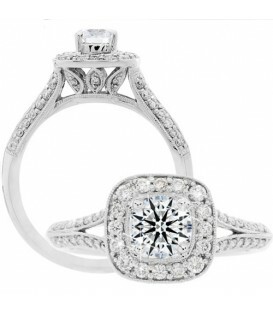 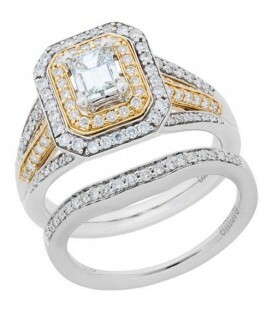 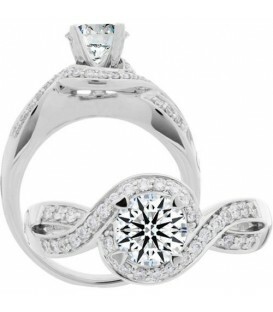 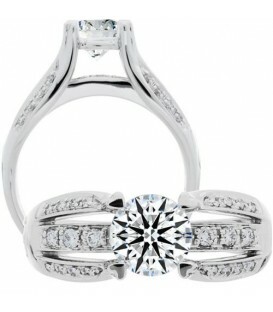 The center stone is gracefully accented by round brilliant genuine Diamonds. 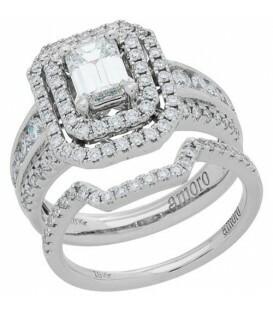 Sculpted comfort-fit band features the signature Amoro Diamond Kiss. 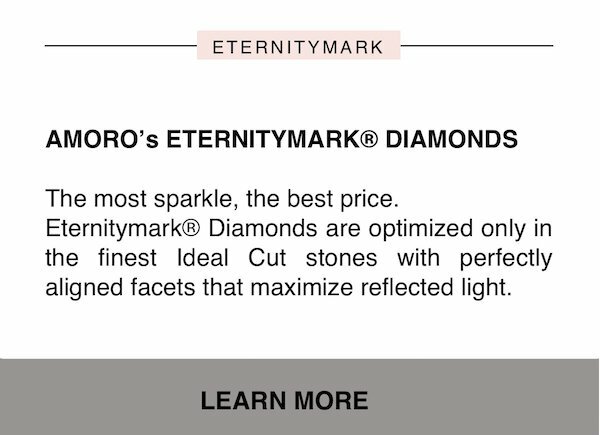 Included is a Complimentary Amoro Diamond scope - perfect to view the beautifully defined 'hearts and arrows' features of Eternitymark diamonds. 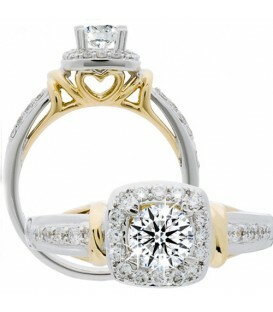 Matching wedding band sold separately. 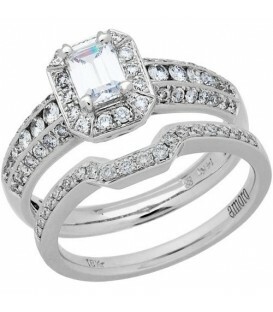 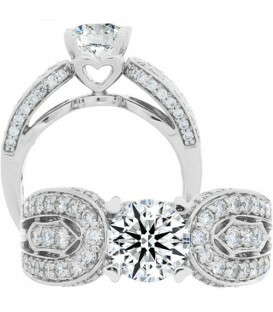 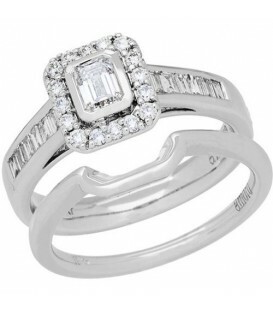 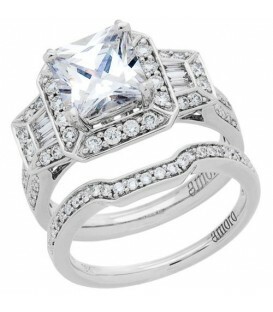 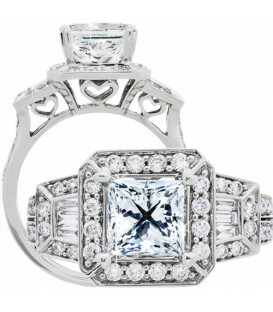 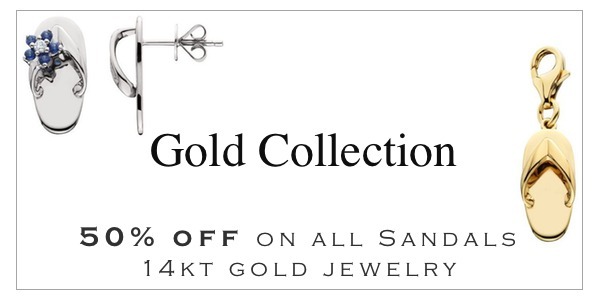 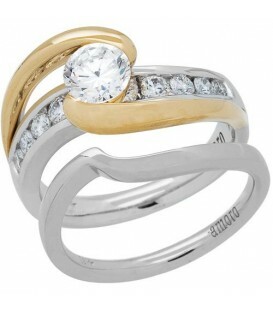 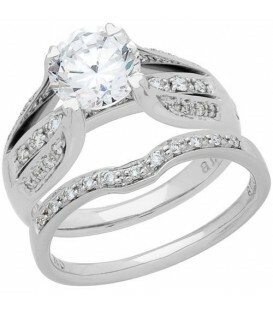 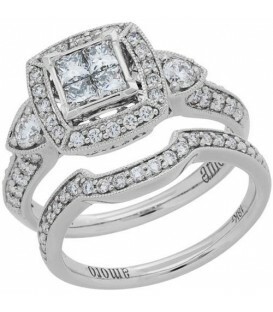 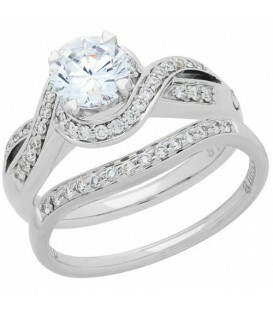 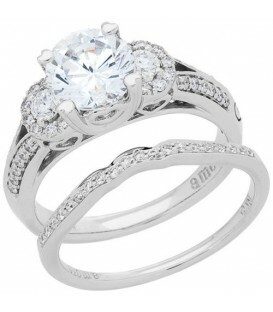 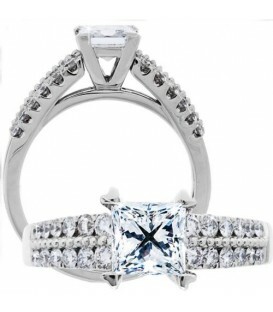 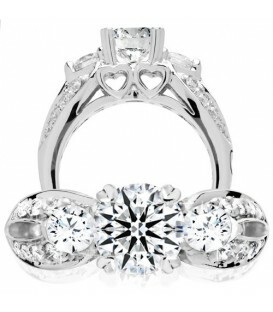 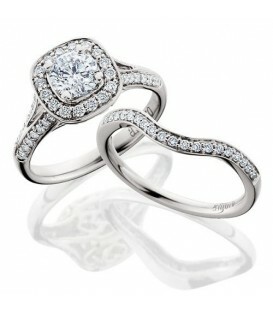 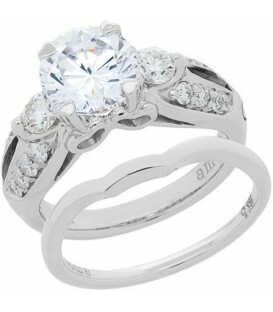 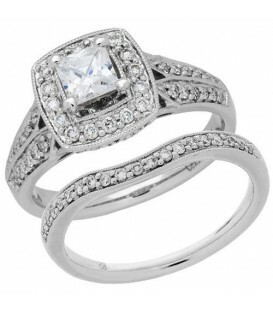 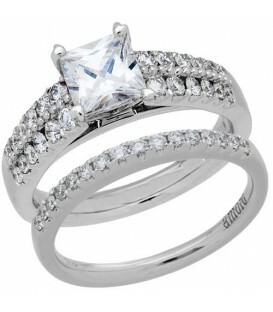 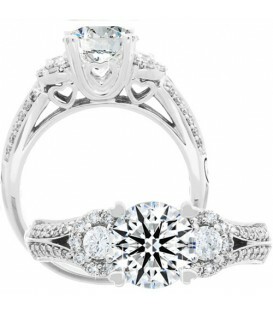 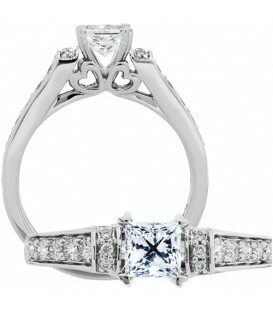 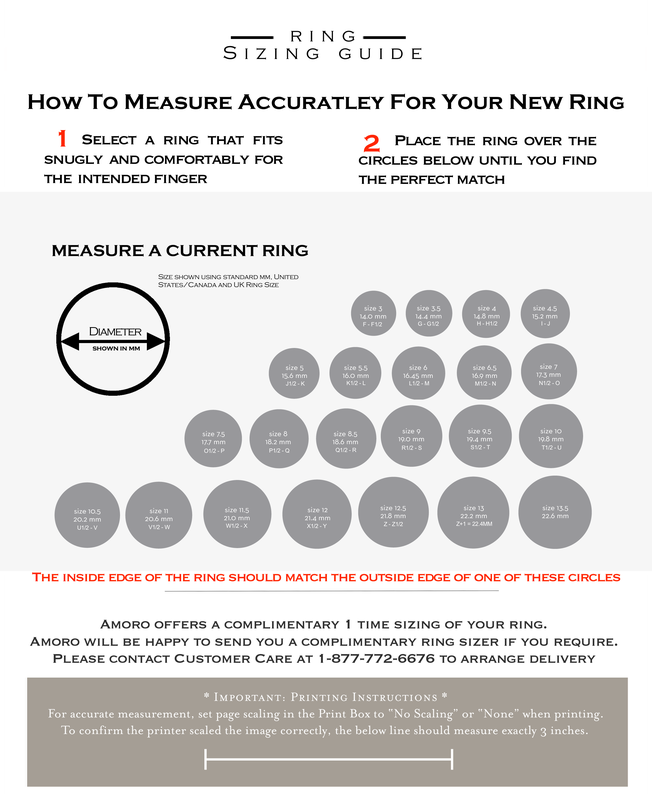 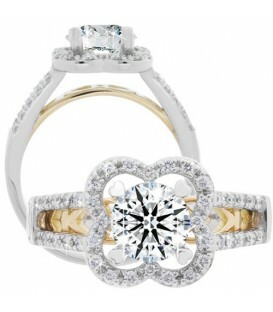 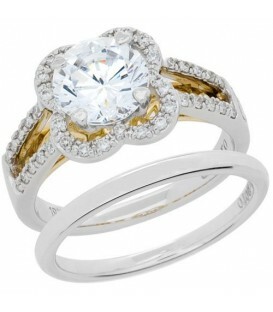 Also available as a ring setting only or with a Classic or Pristine Hearts center Diamond. 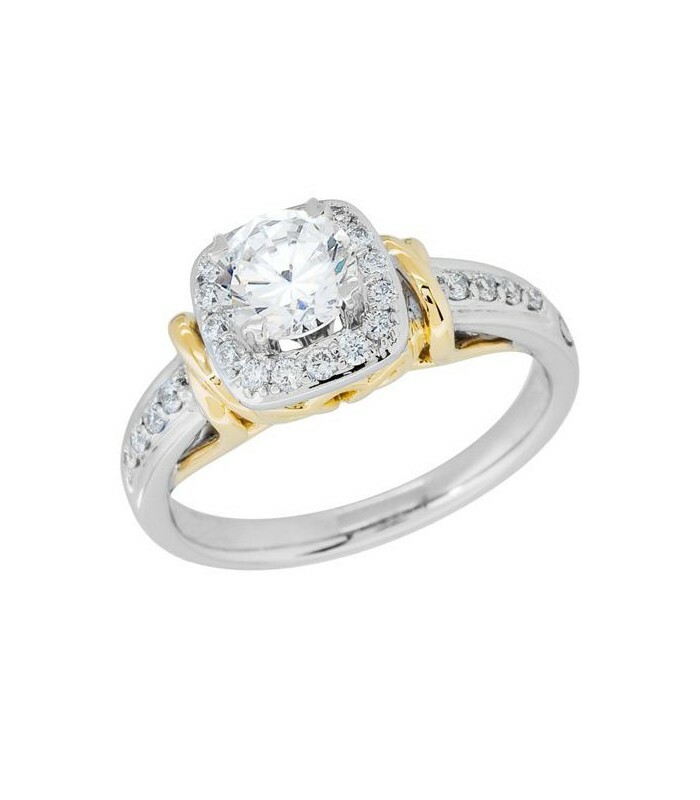 *RING* One (1) AMORO eighteen karat (18kt) two-tone gold Diamond ring featuring: One (1) Ideal Eternitymark, prong set round brilliant Genuine Diamond, weighing approximately 0.46 carats. 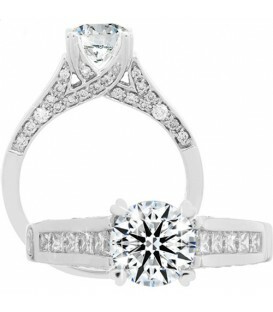 Diamond clarity: VS2 and Diamond color: H. IGL Certificate #: 2241462008. 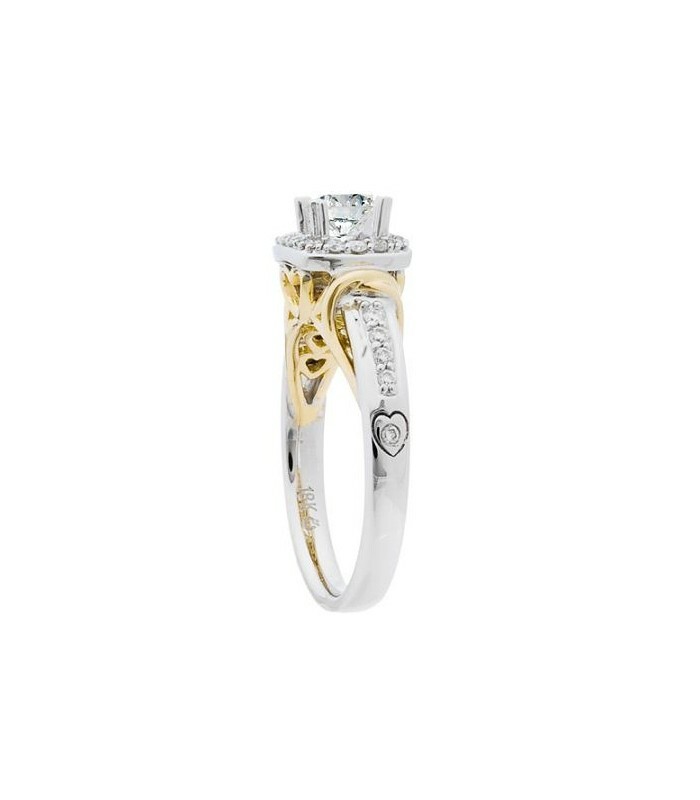 The eighteen karat two-tone gold mounting consists of eight (8) bead set, round brilliant, Genuine Diamonds weighing approximately 0.08 carats and eighteen (18) bead set, round brilliant, Genuine Diamonds weighing approximately 0.18 carats. 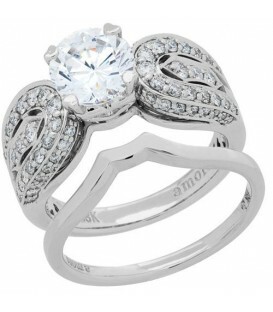 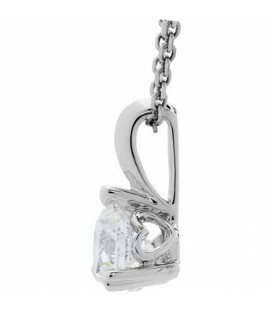 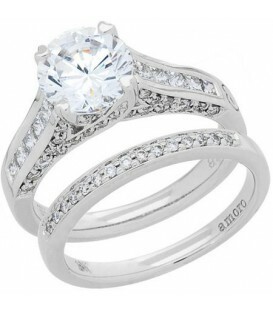 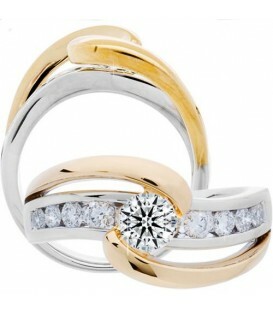 Diamond clarity: VS and Diamond color: G-H. Shank embellished with an Amoro Diamond Kiss.